A small team from Touratech in Germany recently spent some time touring the Pyrenees mountains to intensively test new accessories, produce pictures and videos, and ride some of the latest motorcycles. 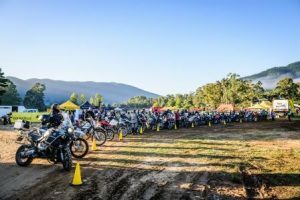 They rode four cutting-edge motorcycles: BMW R1200GS Desierto 5, BMW F850GS, Honda Africa Twin Adventure Sports and the KTM 1290. Stefan Klabunde introduces you to all four of them.